Discussion in 'Shipyard' started by Jake_Lancia, Jul 15, 2018. 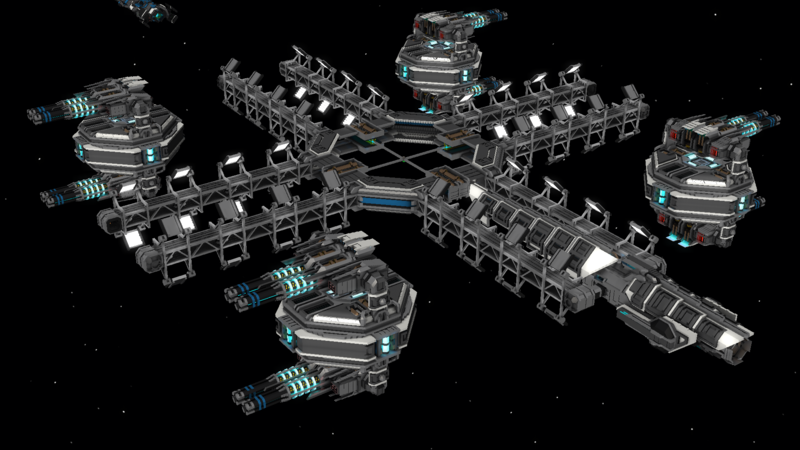 Welcome to the Public Shipyard of the Dominion of Trident. 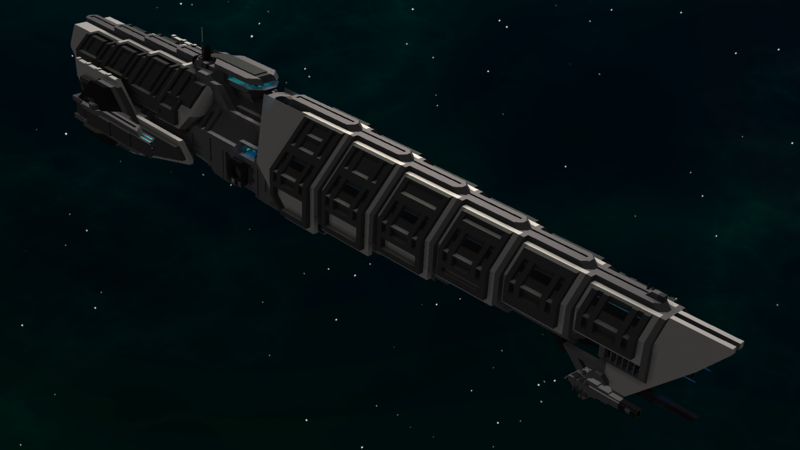 Rather than attempting to continue our previous thread which is quite old now and no longer follows our current ethos, we decided to make a brand new thread, with only our new (power 2.1/weapons 3.0) entities included. Our old vessels are not guaranteed to be updated, so please do not request updates to pre-power 2.0 vessels here. 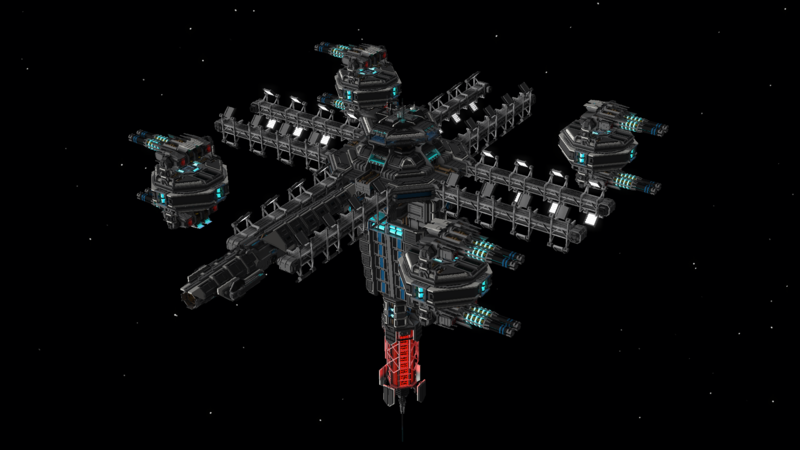 Built in our older signature Generation 2 style, the Starbound II-type Starbase is a large construction with very high internal volume. 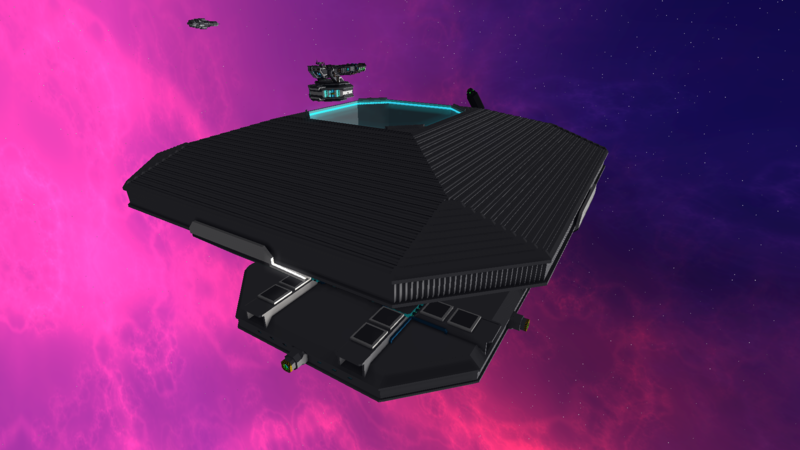 It will also have four double sided free-floating turret pads positioned away from the station, that will carry two of Nauvran 's CGS-2AX Cyll turrets on each pad. 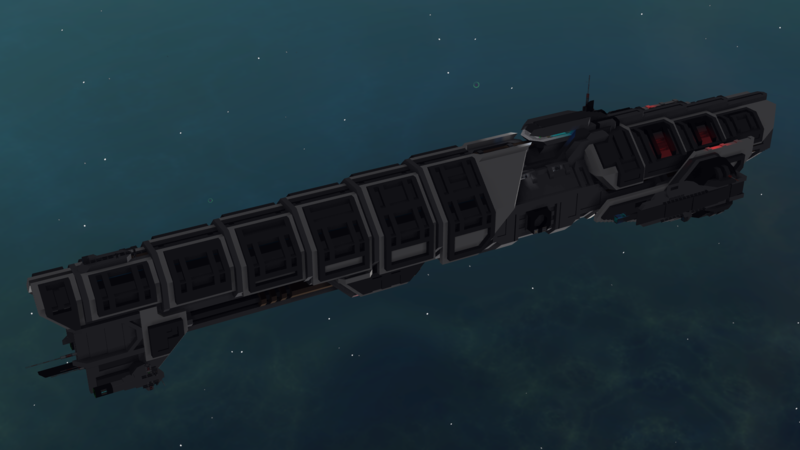 MeRobo has released a new vessel in the RedEagle's Dosera ship style! 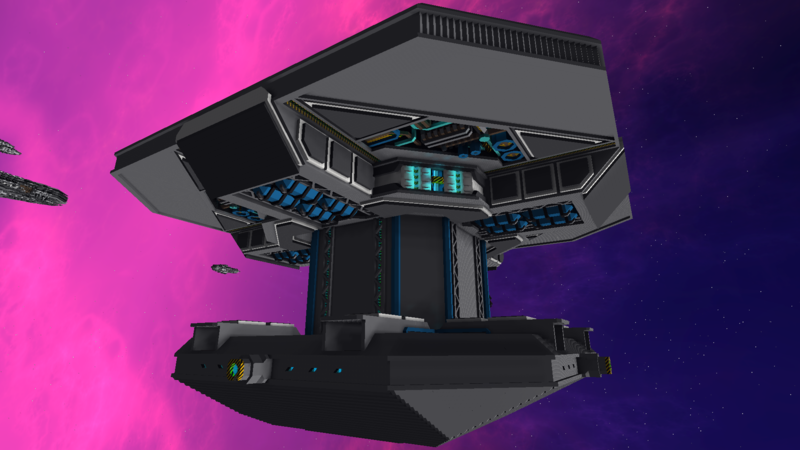 Enter the iSBAD-class "Destroyer"! huh. thought there would be more. If you want to see more, check out their old thread. 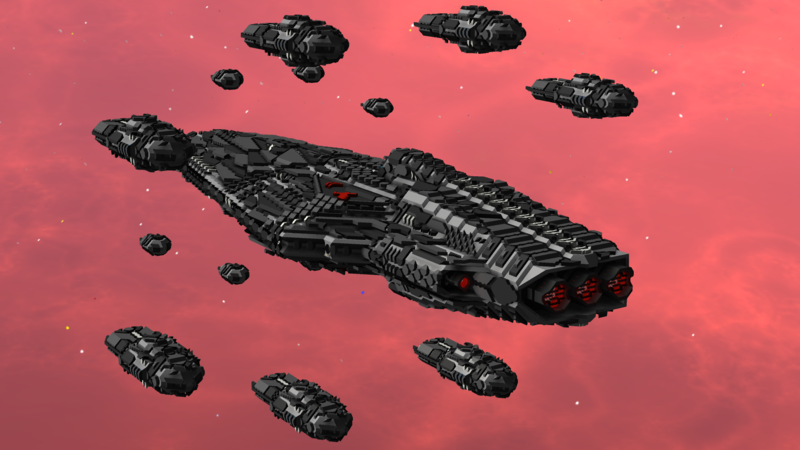 The weapons and power update has kind of reset everyone's fleets. 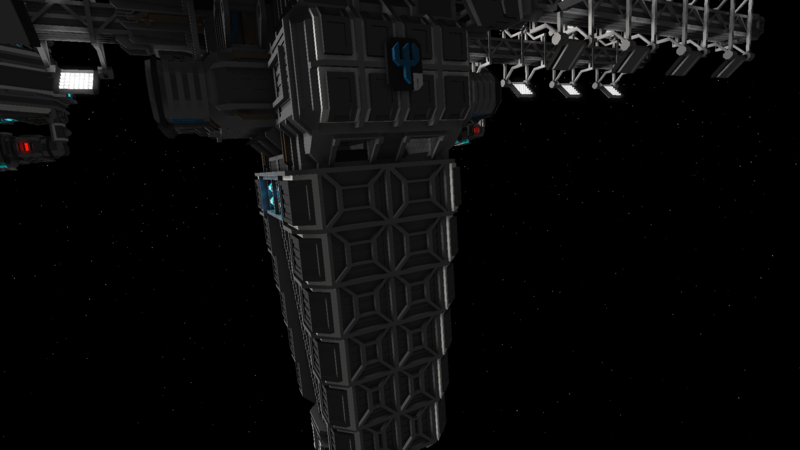 Work on public-release shipyard ships has slowed due to this, and Solaris One taking up most of our time. Sneak Peek at some new projects! 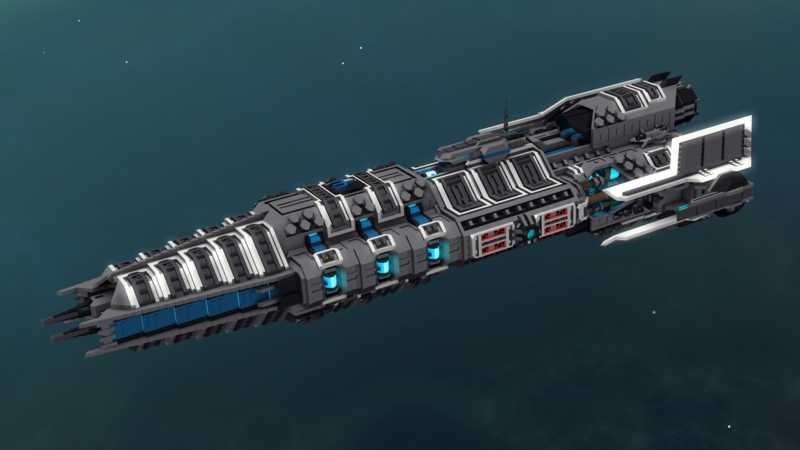 We've gone back to the Generation 2 (version 2) ship style for this one. Very needle-like (and blatant stealing of Trinova Technologies' ship style :P ), this corvette actually has a surprising amount of interior for its size. 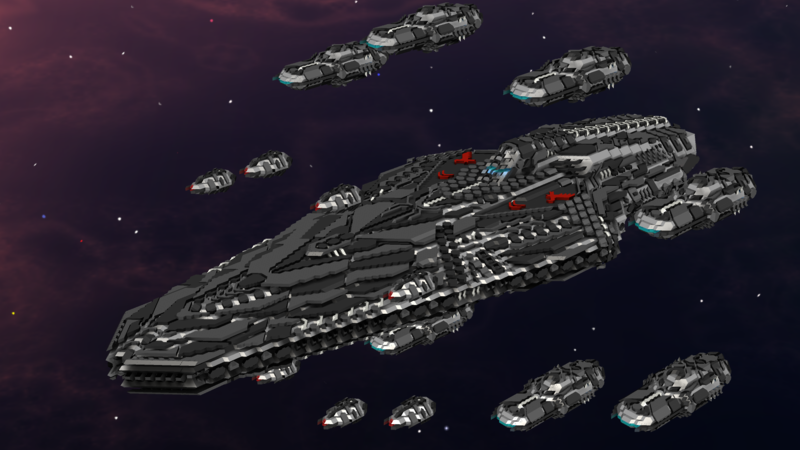 The Strider-class Corvette has been released! 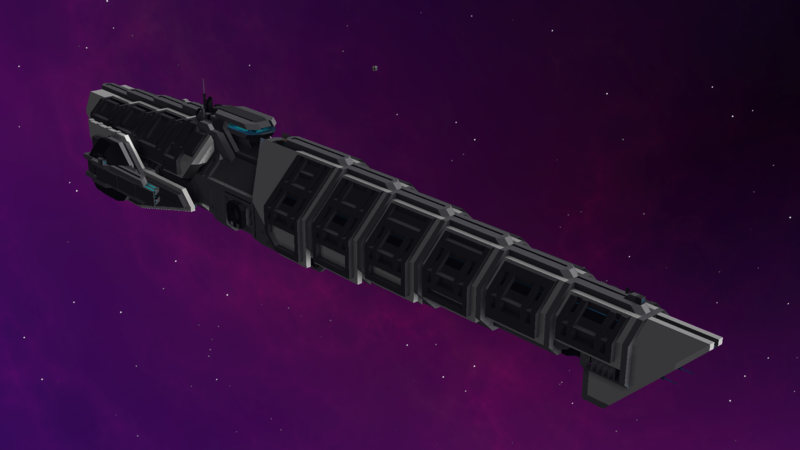 Work on the station is taking longer than expected, so I decided to release the Strider-class standalone to bridge the gap. Jake Lancia stood up from the captain’s chair of the TRV Solaris. He stared into the blackness of space ahead of the ship, contemplating how far he had come since leaving the Nass Galaxies. How far Trident itself had come. A beep from the forward console snapped him back to reality. 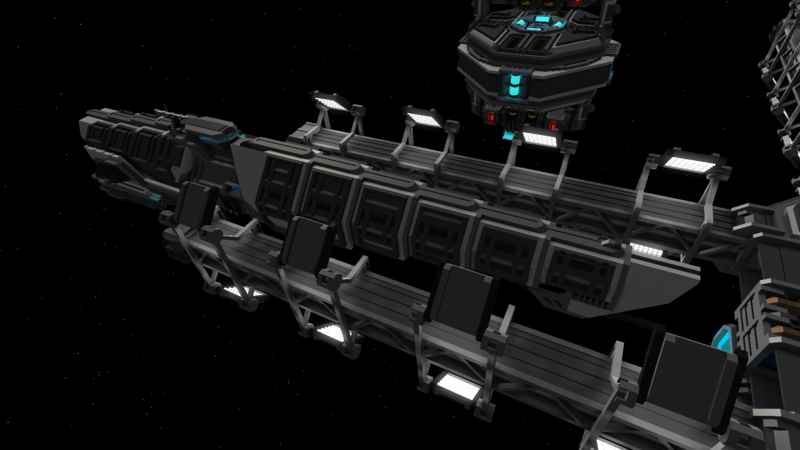 “Sir, we’re approaching the station construction site.”, the helm officer noted. A large metal construction loomed into view. 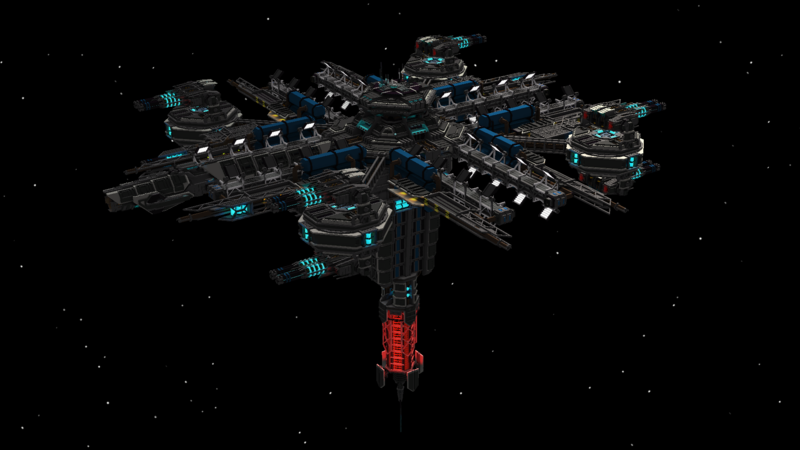 Little more than a mess of pipes and scaffolding now, it would soon become a model for a new type of outpost station that would expand the frontier ever further, allowing Trident exploratory vessels to resupply and refuel ever closer to the edge of known space. Jake, being an avid adventurer himself, longed to fly ever further from the galactic core, but duty kept him close to home. 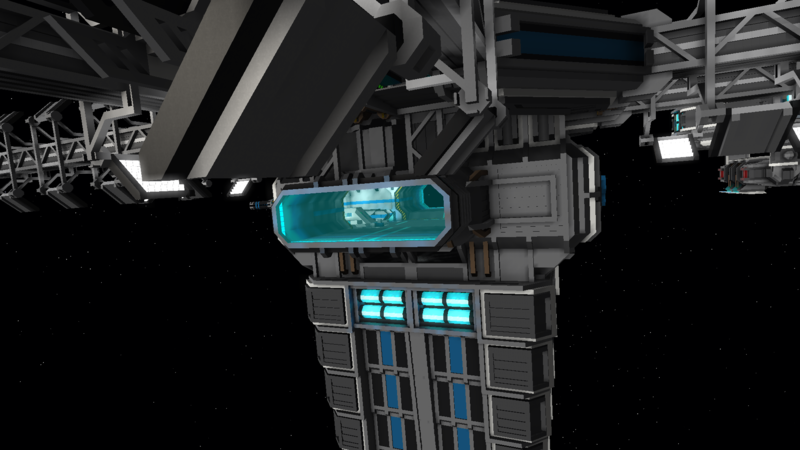 The Solaris proceeded to dock to the most completed section of the station, and Jake and his first officer disembarked the ship. Various workers surrounded Jake as he made his way through the incomplete hallways, until he arrived at the CIC. There only a single person stood, its back to Jake, in relative shadow. ...aaand that reminds me I need to work on mine. We've released an updated variant of the Resurgent-class in our ever-popular Generation 2.1 armour style! And Plaz has also released the all-new Hawker-class Corvette! 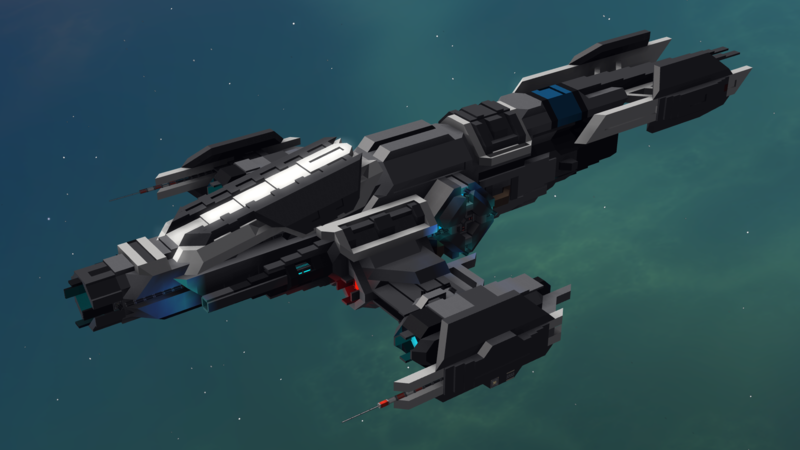 Plaz has also released the Strider Heavy, a refitted variant of the Strider-class Corvette which is better suited to military duties!